Our goal is to advance CO2 laser technology by manufacturing the highest quality and most dependable CO2 lasers in the market. Please call today to speak with a knowledgeable sales associate. Kern Technologies is located in central Minnesota. 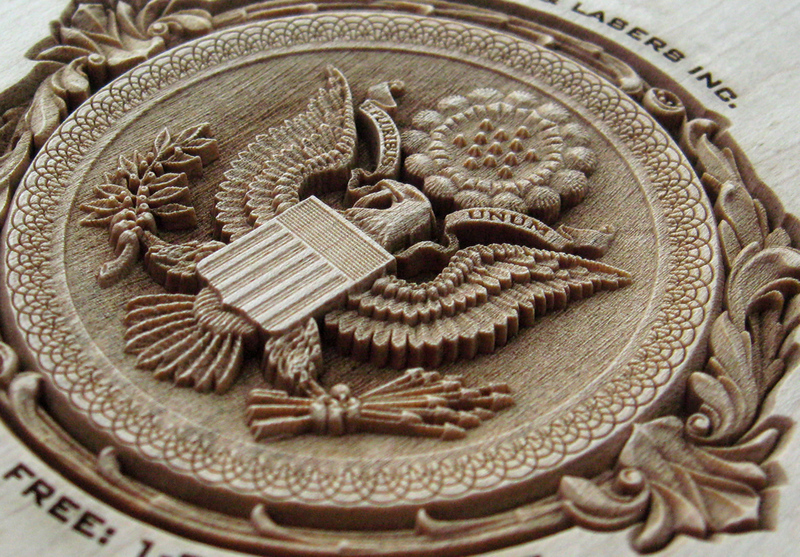 All of our lasers are proudly designed and manufactured in the USA. With over 35 years of experience in the laser manufacturing field, founder Gerald Kern, and Kern Technologies’ objective is to advance CO2 laser technology by manufacturing the highest quality and most dependable CO2 lasers in the market. CO2 lasers can be used for a wide variety of applications ranging from engraving wood to cutting metal. Here are a few applicant examples. Kern's CO2 lasers are capable of creating 3D engravings in woods, acrylics and other materials that engrave well. The high peak power and fast rise and fall times provided by a Kern laser make it possible to produce these precise, intricate and beautiful pieces of art. Acrylic is one of the most popular materials used by CO2 laser operators on a daily basis. 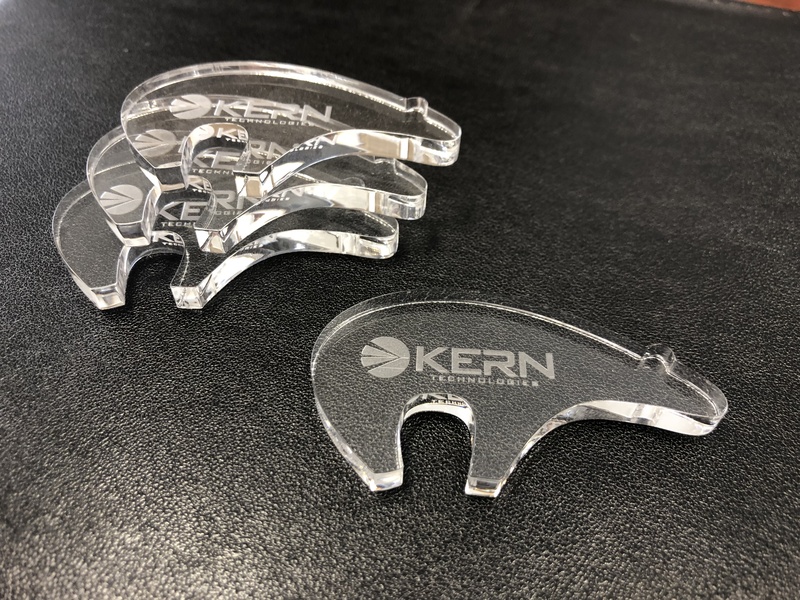 Kern’s CO2 lasers are able to cut acrylic while providing a beautiful fire polished edge. 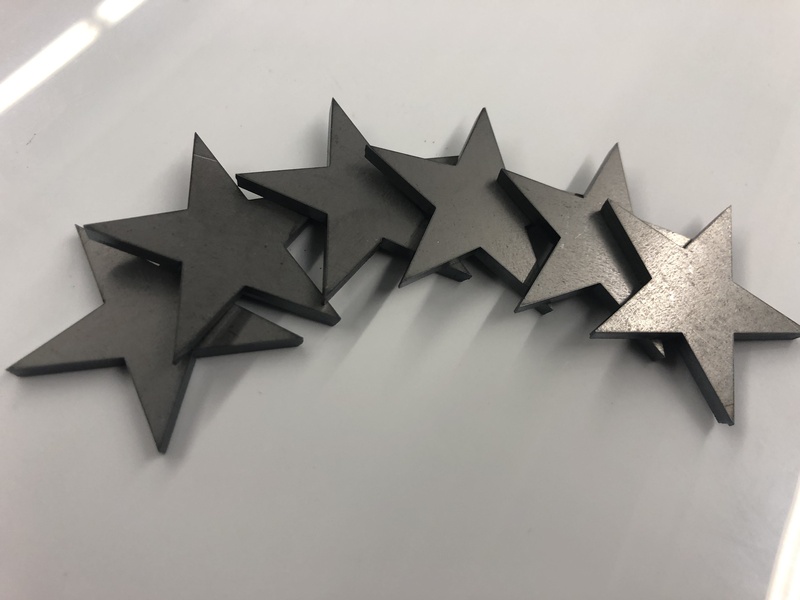 The KT400, 400+ watt, CO2 laser can cut mild and stainless steel as well aluminum with a dross free, high quality edge. We take pride in not only building one of the finest lasers on the market but in developing and nurturing the relationships with those who buy from us. Operating a factory in a small town in the Midwest certainly has advantages. Employees at Kern have the good fortune of knowing each other through work, family, sports and community activities. Bringing those relationships to the workplace combined with a great Midwestern work ethic makes for a dynamic and exciting place to work. Our quality workforce is who we are as a company for those reasons. Versatility and profitability go hand in hand with a Kern laser. Changing from cutting light metal to plastics takes only a few minutes. Process wood, plastic, leather, metal and much more all with one CO2 laser. There are few things in life that are more important than ones reputation. At Kern we build our reputation one client at a time. Our experienced laser technicians assemble, align and test to ensure top quality CO2 lasers are received by our customers. At Kern Laser Systems, we recognize the ever changing world of technology. That is a primary reason why our research and development team is continuously developing new and improved products. Our reputation has been built on providing state of the art lasers, backed by high quality service. For all your industrial CO2 laser needs contact Kern Today!